I am not a botanical painter by nature, but because I have been so immersed in my garden this summer I can't help, but be inspired by some of the beautiful veggies that are growing there. Also, because I have been so wrapped up in the processes of planting, harvesting and putting up all this lovely produce (and trying to keep my pup, Balin from digging up, chewing up or trampling my plants), I have had very little time for painting let alone anything else. That's where a sketchbook journal can come in handy. In the rare, unfilled moments I've had lately I can relax with a quick sketch. 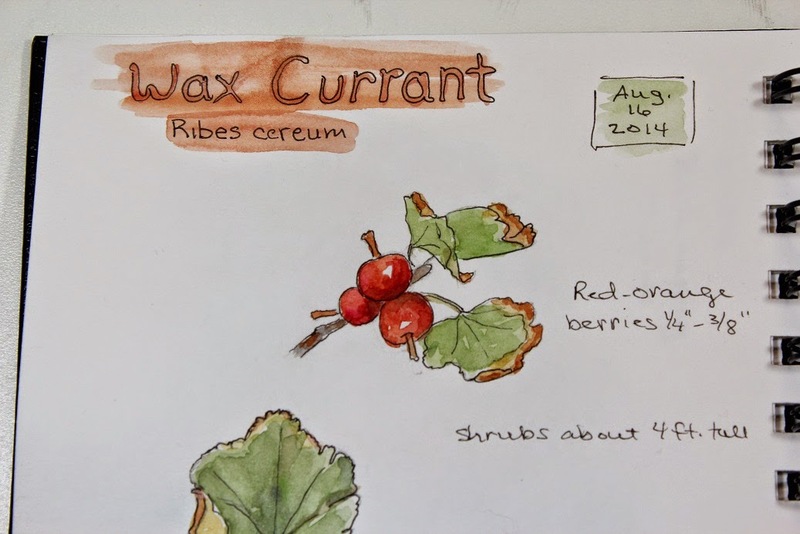 Beets aren't the only plant that I have sketched this summer. 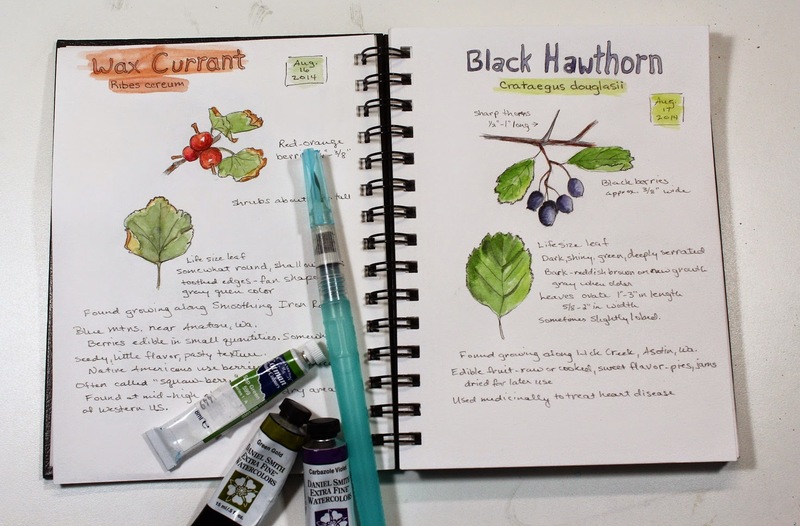 While foraging for wild edibles in the mountains I thought it might be a good idea to include them in my sketchbook to help me remember what to look for, where I found them and when. These are just a few that I found, but there are so many more. There just doesn't seem to be enough hours in the day right now to accomplish all that I'd like to. 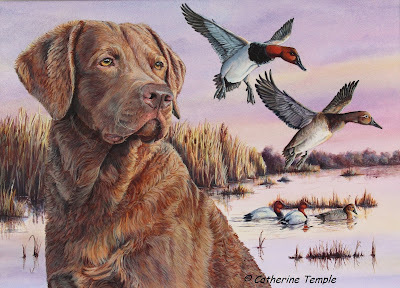 If I could create my perfect world I would explore and sketch and paint to my hearts content and let someone else worry about gardening, cooking, cleaning, etc. 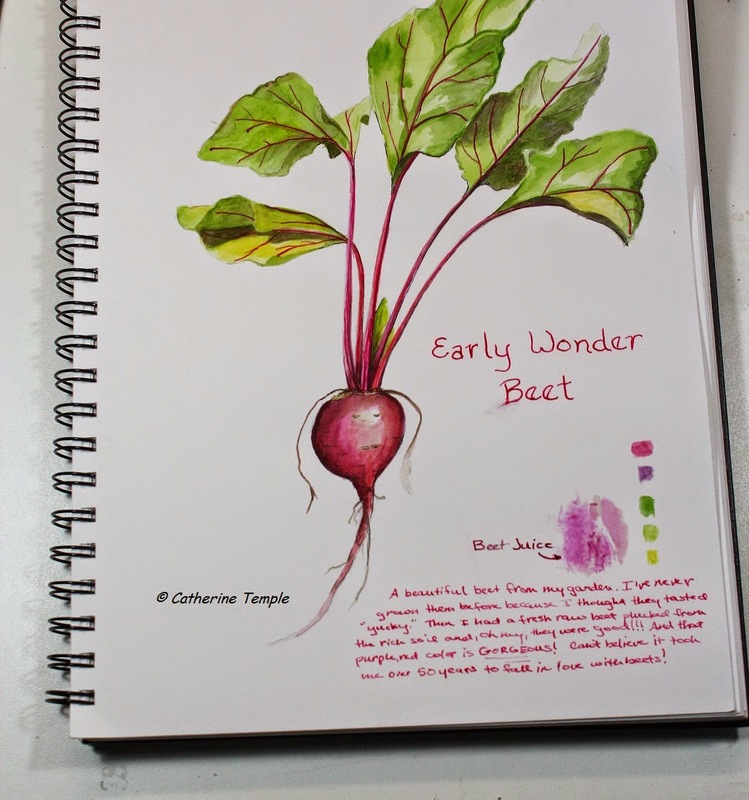 But until that time I guess the "beet" goes on and I'll be happy with a few sketches now and then until life slows down a bit and I have time for larger works of art.